Thought about hiring a Skip Bin to tidy up your home? Did I hear a resounding YES??? Then enter our competition so we can help you out. WIN a Free Skip Bin Hire* valued at $400 and get your spring clean sorted. *Of course conditions apply, but these are no biggie. See below for more detail. Please ensure you read these T&Cs to ensure you are eligible before entering. Using the form below, tell us in 25 words or less, how a free skip bin hire will make a difference to your household spring clean. The prize will be drawn on 31 October 2017 at 17:00 AEST. The winner must have completed both steps 1 and 2 of the entry requirements. Failing this, a runner’s up will be drawn. The winner will be notified by phone or email on 1 November 2017. 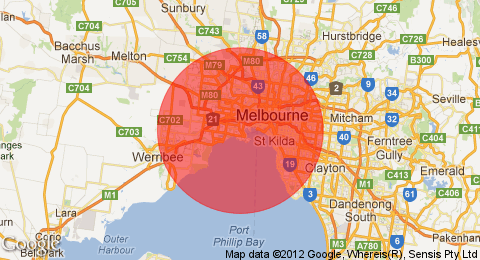 The winner must be located within 30km of Williamstown. You must be able to place the skip bin in your driveway or property. Permit costs apply if the skip bin is required to go on Council land. We require a 3m entry for a bin to placed in a driveway. Delivery of the skip bin must be between 1-30 November 2017. The prize is valued at $400 including GST. The winner will receive 3 day’s hire of a 4m3 walk-in skip bin to place household rubbish in only. The prize does not include the disposal of any concrete, brick, soil, building materials, hazardous waste or any other waste we are not licensed to carry as per our website guidelines. We ask the winner ‘to do the right thing’ to ensure there are no difficult conversations about charges applying for breaking these rules. It is expected that the bin will be filled only to ‘water-level’ as per our normal hiring terms and conditions. All other hiring terms and conditions will apply to ensure our delivery and pick up safety and legal requirements are not compromised.